Bay Colony is regarded as a hidden treasure of the Palm Beaches. Located on the intracoastal side of Juno Beach, this resort style community features 121 new condominiums! Seven low rise buildings offer a variety of floor plans with 2 – 3 bedrooms, 2 to 2.5 baths and approximately 1,500 to 2,200 square feet of living space. Vaulted ceilings, granite countertops, impact windows, private balconies and modern appliances are just some of the features you can expect to see in a Bay Colony unit. These beautifully appointed buildings offer residents ample opportunity to indulge themselves with high end facilities including a heated pool, cutting edge fitness center and spa, clubhouse, tennis and bocce ball courts. The community is also home to a marina consisting of 45 private slips. This is all wrapped in magnificent views of the Intracoastal Waterway and 14 acres of landscaped lush gardens viewed from the private balconies of each unit. 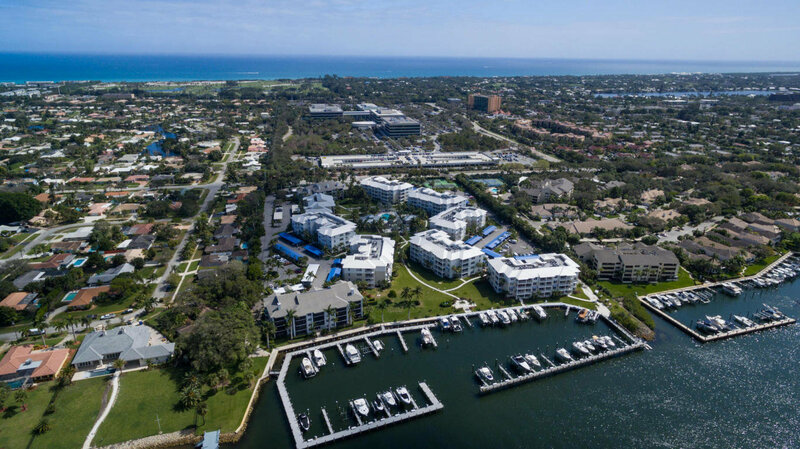 Perfectly located along the Intracoastal Waterway, Bay Colony provides it residents easy access to lazy days on the beach and fun filled water activities from fishing to paddle boarding and boating. Being in the heart of North Palm Beach also gives home owners the convenience of having their dining, shopping and entertainment needs within reach. The Gardens Mall, Kravis Center, CityPlace and Worth Avenue are just around the corner.